Little Office of the Blessed Virgin Mary: 27. THE FOOT OF THE CROSS. 27. THE FOOT OF THE CROSS. "Woman, behold thy Son. Son, behold Thy Mother" St. John, xix. 26. We have seen the meeting between the Mother of sorrows and her Divine Son. When she had seen His Divine Majesty weighed down beneath the burden of the cross, and the King of heaven and earth forced to rise again amid insults, and dragged along the road to Golgotha like an ordinary criminal, she continued on her way, supported by a supernatural power. She was the first to reach Calvary, and there stood waiting. In the mean time, the confused sound of the cries and curses of the crowd grows louder, and strikes upon the Mother's heart. They draw near; Mary turns not away her eyes. The Divine Victim is in the hands of the executioners; they tear off His garments which stick to the Weeding wounds caused by the scourging; the cross is laid on the ground. Ah ! holy Mother, this is a harder bed than the crib of Bethlehem in which thine arms laid Him three-and-thirty years ago! He gives Himself into the hands of His executioners with as much docility as a weary child whom his mother is gently preparing for his rest. (The Foot of the Cross. F. Faber.) Mingling with the savage yells of the crowd are heard sobs and groans. The holy women who had come from Galilee with Jesus, had followed Him on the road to Calvary, and now, grouped around Mary, or kneeling with Magdalen, they cover their faces that they may not see the horrors of the sacrifice; but Mary stands, neither weeping nor lamenting, she is as silent as her Son. Stretching out her arms, as if to bless this timid flock, she seems to be numbering them with her looks; Mother, is that joy-shining in thine eyes ? Not one of them, at least, has abandoned her master. What means this? Whence comes it that the weak are to be found on Calvary, and that the strong have fled ? Is it not the beginning of a great mystery ? We see the holy women, faithful to Jesus even unto death, gathering and standing round His cross, and the reason is evident. Since the fall of her first mother, woman had suffered under a more severe condemnation, and had fallen to a position far lower than that of man; it was only on Calvary to which she brought the tribute of her contrite tears, that she was restored to the position since held by all Christian women. And if Mary appears so great in the supernatural courage which kept her alive amongst all the horrors of the Passion, it is because God had appointed her place on the altar of sacrifice; and, as she took part in the mystery of the Incarnation, by giving to God made man, flesh of her flesh and blood from her veins, so also she partook in the mystery of the Redemption by suffering with the Redeemer, and by consenting to the death of her Son for the salvation of men. On the very spot on which the new Adam is about to die, the new Eve stands before us. Behold the woman promised to our first parents by our outraged God, who even in the hour of His wrath was not forgetful of His mercy. This is the woman whom God showed beforehand to the serpent, the conqueror of Eve, as his eternal and victorious foe, when He said: " I will put enmities between thee and the woman, and thy seed and her seed; she shall crush thy head, and thou shalt lie in wait for her heel." 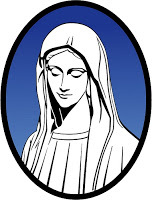 "Now, none of you are ignorant," said the great St. Augustin more than fourteen hundred years ago, to the catechumens whom he was instructing, " that this serpent is the devil, and that this woman is the Virgin Mary." Let us continue our sorrowful account. The dying voice of our Saviour will confirm this truth and develop it in a wonderful way, by Himself giving Mary to be a Mother to all who are regenerated through His Blood. She heard that beloved voice say in the midst of the blows and curses of the executioners: " Father, forgive them, for they know not what they do." She saw the cross raised, and the Divine Mediator hanging between heaven and earth. The soldiers were dividing amongst themselves those garments which she had woven with her own hands, during so many industrious hours. The passers by blasphemed, and cried out, wagging their heads: "Hah, Thou that destroyest the temple of God, and in three days dost rebuild it, save Thy own self: if Thou be the Son of God come down from the cross." The doctors of the law and the Pharisees mocked and rejoiced among themselves. "Let Him now come down from the cross," said they, " and we will believe in Him." Each one of these blasphemies was a new wound for the heart of Mary. Meanwhile, above the earth, in that region in which, by the crime of man, the Mediator was hanging, another scene was going on. One of the two thieves who, in mockery of Jesus, were crucified on either side of Him, was blaspheming and setting before us the awful picture of an impenitent sinner. The other, the first guilty soul redeemed by His precious blood, said humbly, " Lord, remember me when Thou shalt come into Thy kingdom." And Jesus said to him, " Amen, I say to thee, ; this day thou shalt be with Me in paradise." These words fell like dew on the heart of Mary, thirsting to hear the voice of Jesus, thirsting for the salvation of men, for whom, with her will ever perfectly united to that of God, she consented to sacrifice her Son. Doubtless, her prayer was united to the prayer of the penitent sinner, for then it was that the eyes of Jesus, turning with difficulty towards the earth, seemed to seek the Mother who was 'suffering for sinners in her soul all that He was suffering in His body. (Quod Christus in corpore beata Virgo in corde suo perpess est—St. Bernard.) He saw her standing at the foot of His cross, generous in her sacrifice, though her soul was flooded with sorrow never equalled, and thinking at the same time of her and of us, He pronounced those wonderful words by which, while providing for His Mother a son to console the remaining years of her life on earth, He declared her for ever our Mother, and the Mother of all men. We cannot doubt that in uttering these words our divine Saviour had first and chiefly in His mind His Mother and His beloved disciple. In thinking thus specially of Mary at the solemn hour of redemption, it was His will to shew us how truly she was His Mother, how truly He had become her Son when He was made man, and to recommend to us from the cross, as from a pulpit, the great precept of filial love. By giving her as a Mother to St. John, He bequeathed to the purest, tenderest, and most faithful of His disciples, her who was, after Jesus had ascended into heaven, the greatest and most holy of all beings left on earth, the living temple in which had dwelt the Word made Flesh. "Happy John," exclaims the author whom I have taken for a guide, " thou hast had the courage, the constancy, and the generosity, to follow Jesus to the last, and to remain near His cross. These virtues, so noble and so pure, have merited for thee the honour of being chosen as a brother by Jesus Christ, and of being given to His own Mother as a son in His place. Such is the happiness of one who presses close to the cross, who is the companion of the Crucified, and who contemplates on Calvary the mysteries of the Son and the sorrows of the Mother. By this road is reached not only the love of Jesus, but also the most intimate friendship and the most close relationship with Him." But there is yet another meaning in these words of our divine Saviour: "Woman, behold thy son; son, behold thy mother." A still deeper and higher meaning. At the very moment in which the mystery of Redemption was being fulfilled, the Holy Victim Who was sacrificing Himself for the salvation of all, would not allow so much as a thought which did not contribute to His sacrifice. God so loved the world as to give to it His Only-Begotten Son; the Son, by a full consent to the will of His Father, and by an equal love, has offered Himself of His own will. He has become ours. There does not remain to Him a single feeling or will which is not our common property. Thus, while offering His limbs to the cruel nails, He prays to His Father for His murderers; it is not only for the murderers on Calvary that He prays, but for all sinners, whose sins have occasioned His death. When He promises to the penitent thief a place in the kingdom of heaven, He addresses His promise and pardon to all penitent souls. In the same way, when He casts down His eyes upon His Mother and the beloved disciple, He sees in Mary not only the holy Mother who bore Him in her womb, and fed Him in His Childhood, but also the Mother of all the living, the sharer of His sacrifice, the new Eve, who by suffering expiates the sin of the first Eve. In His beloved disciple He sees all the other disciples to whom He has promised that He will not leave them orphans; He sees the Infant Church and all the souls to whom His death will bring life. The tears of His disciple remind Him of all the tears which will be shed in the course of ages by the disciples of the cross; His Heart is moved with pity and: He gives to the great Christian family a Mother, His own Mother! Let us fall on our knees and thank our: Saviour, for, after the gift of His Blood,, what could He give us more precious than ; His Mother? What is sweeter or more consoling on earth than the tenderness of; a mother's heart ? Which of us, in the most cruel sufferings, has not felt his heart opened, and the weight which stifled him relieved, if he has been suffered to weep on his mother's breast? And yet, what is the tenderness of an earthly mother compared to the tenderness of; Mary ? Let us see when it is that this peerless Mother adopts us as her children. Her only Son, her well beloved is there, hanging upon the cross, disfigured and dying., If there is amongst us a mother who has seen her child suffer and die, she will know something of the grief, of Mary. This is the height of human suffering, but Mary has surpassed it. For the horror of sacrilege is added to it, and He whom she saw suffering and dying was not only her Son, but her God. True Mother of the living, she willingly accepts as sons those to whom the death of her Son is about to give life. Let us love her, for she willingly accepted her painful Maternity on Calvary, as she had willingly accepted her glorious maternity, announced to her by the Angel at Nazareth. Let us love her, for never did a mother suffer for her children what Mary has suffered for us. "It was almost the sixth hour," the holy Gospel tells us, "and there was darkness over all the earth till the ninth hour." The sixth hour was the middle of the day, but the sun appeared to hide itself for fear at the crime of the Jews. The curses of the crowd, the murderers of their God, became less loud. In the silence which gradually deepened with this frightful night, the only sound to be heard was from time to time a voice of insult from some Pharisee. Suddenly a cry was heard from the cross: " My God, My God, why hast Thou forsaken Me ?— Eli, Eli, lamma sabacthani ?" (Not that His Father had forsaken Him; hut that He was troubled as if His Father had really forsaken Him.) "What a mystery is this! The Son of God appears to call in vain upon His Father, and heaven and earth seem alike to refuse Him pity. And Mary still stands at the foot of the cross. While the sun hides its face, and mourning nature seems to weep for its Author, Mary remains a silent spectator of the sufferings of her Son. She sacrifices her maternal love to her obedience to God, and when the loud cry of anguish rends her soul, when for the love of man God seems to forsake His Son, she also consents for the love of man, to the death of this beloved Son. O holy victim! how does she suffer with the Son whom she sacrifices for us ! Shall she not at least obtain the salvation which was so dearly bought ? "Afterwards," the holy Gospel tells us, " Jesus, knowing that all things were now accomplished, that the Scripture might be fulfilled, said : I thirst." O holy Mother, will His sacrifice and thine call forth nothing but ingratitude ? "Jesus, therefore, when He had taken the vinegar, said: It is consummated." And, "crying with a loud voice, said:. Father, into Thy Hands I commend My , Spirit." And; bowing His Head, He gave, up the ghost." "And, behold, the veil of the temple, was rent in two from the top even to the bottom, and the earth quaked, and the rocks were rent ....Now the centurion and they that were with him watching Jesus, having seen the earthquake, and the things that were done were sore, afraid, saying: Indeed this was the Son, of God." And in the midst of the holy women lying prostrate on the ground, stood Mary at the foot of the Cross, where she had received the last look of her Son. O holy Mother of the Divine Victim, merciful Mother of the guilty ones, whose sins have crucified Him, open to us thine arms at the foot of that cross from which the dying Jesus bequeathed thee to us. Give us a place at the foot of that saving tree near John and Magdalen; for the cross is the support and safeguard of the good, and the refuge of sinners. Obtain for us by thy holy prayers that we may not be of the number of those unhappy ones for whom the Blood of Jesus has been shed in vain, who offer nothing but vinegar to His lips, and ingratitude to His Heart. May our souls, washed ever since our baptism in the Blood of the Lamb, purified after each one of our falls by a sincere repentance and the merits of His adorable Blood, appear one day clothed in innocence before their Saviour, when He shall come to judge the living and the dead. O holy Mother, whose spotless soul bore the impression of each of the wounds of our Saviour, work in us a like miracle. Impress deeply on our guilty souls the wounds of thy crucified Son. 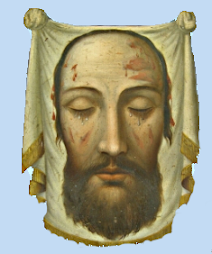 Make us shed holy tears with thee, and suffer with our Saviour all the days of our lives. All my desire, O holy Mother, during this earthly life, is to remain with thee at the foot of the cross, and to unite myself to thy tears. Reject me not. Permit me to weep with thee; make me bear the cross of my Saviour. Give me a share in His sufferings, wound me with His wounds, inebriate me with the love of His cross. But on that awful day when my Saviour will become my Judge, be thou my defence, O holy Virgin, that I may not fall a prey to everlasting flames. My God, when mine hour shall come to quit this earthly exile, grant that, with the help of Thy holy Mother, I may attain to the glory of Thine elect. When my body returns to dust, deign to receive my soul into the glory of paradise. Amen. To love to read or sing the "Stabat Mater." To meditate carefully on the words, uniting ourselves to Mary at the foot of the Cross.